Scientists have sticks of different length and ants that walk on the sticks. When there are more ants, they collide on the stick and both ants change the direction. We need to compute the time each ant spent until reaching the end of the stick. 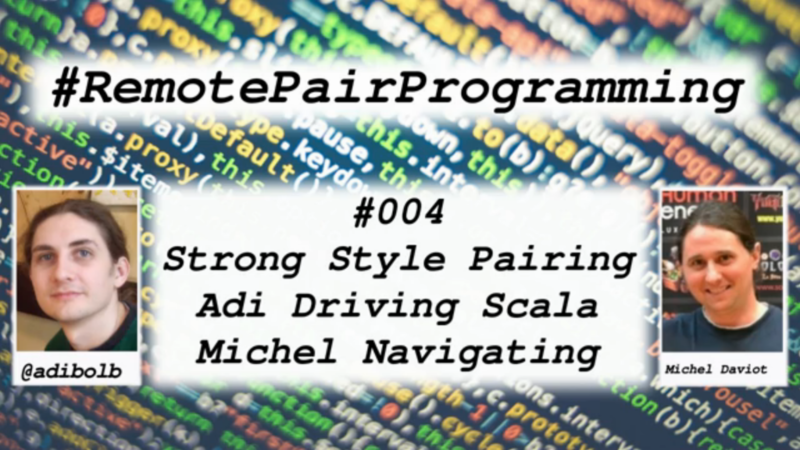 During the codecast we need to model this problem using TDD and Strong Style Pairing. Adi is the navigator and doesn’t know the problem, while Michel is the Domain Expert and the driver. As a Navigator Michel tried to write the test cases on paper. In the moment when Adi doesn’t know where to get, he takes smaller and smaller steps until having the confidence he can go on with a bit bigger steps. Adi wrote just at the beginning which tests to write, by using the Behavior Slicing technique. Many thanks to Michel Daviot for taking the time to record this codecast with me.